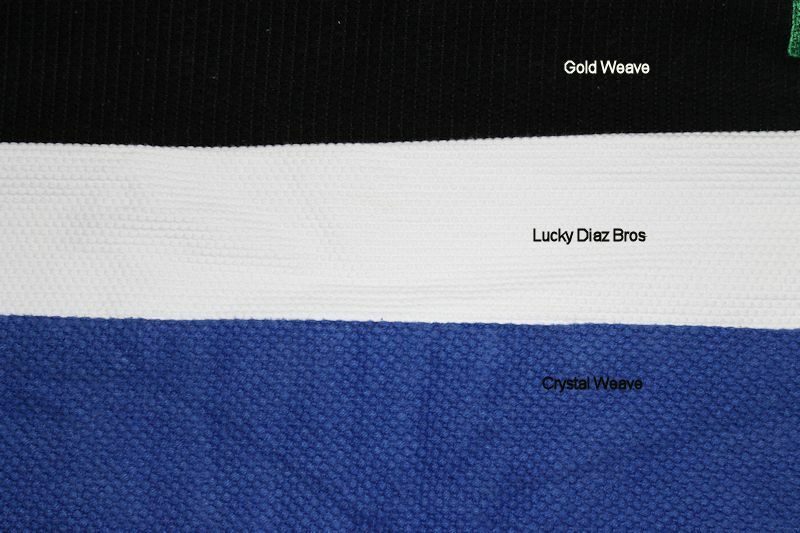 Since I own 3 other gi’s made by 93 Brand, Kris Shaw, whom I train with at Tinguinha Brazilian Jiu-Jitsu Academy in Yorba Linda, CA and also the owner of BJJ Legends Magazine asked me to review the latest gi by 93 Brand, the Zodiac. I haven’t wrote anything other than a email since my last English final essay in college 15 years ago, hopefully I don’t make too much of a mess out of this. Manufacturer’s description of the gi: The gi features a 350gsm pearl weave gi top, 10oz rip stop pants, and interior yoke panel plus customers get to choose from any of the twelve circular zodiac patches designed by BJJ artist Meerkatsu. First impression: When I took the gi out of the bag, it felt very light. 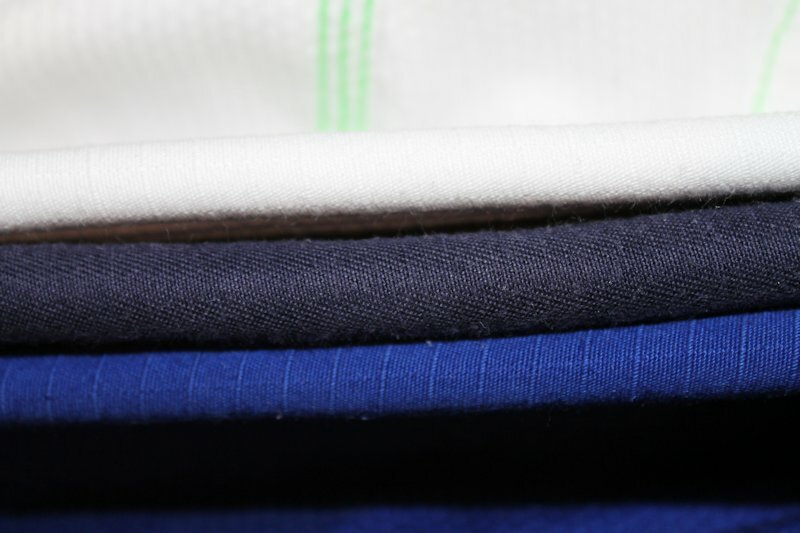 The gi is minimally patched, which I prefer, and the color combination of white and blue look sharp. There is a small strip of patches on the shoulders with the company name. The side vents on the gi top and the gi pants have blue tape with stars on them to keep with the theme of zodiac. It kind of reminds me of the U.S. Air Force uniform. I don’t usually like ripstop pants due to being too stiff, but these pants felt softer than other ripstop pants I own. The gi also came with a patch with my zodiac sign, Aquarius, which depicts a guy holding a water jug. There are some cool looking patches that come with other zodiac signs, such as Pisces, Scorpio, or Leo, but as my luck will have it, I got a guy holding a water jug. As you can see, there is minimal shrinkage with the gi. I always washed the gi with cold water. Gi top were always hung dried but the pants were put in the dryer at medium heat after the 3rd wash but the pants never shrunk. Review: I have trained in this gi for three straight weeks, 5 times a week. This was possible due to the gi being so light that even after being washed and hung to dry, it usually dried within few hours. Although the material is very thin, I did not notice the gi being stretched when it was soaked in sweat and my training partners tugging on the sleeves/pants etc. As for the fit of the gi, I am 5’11” tall and weigh 165 pounds and the A1L fitted me like a custom made suit. 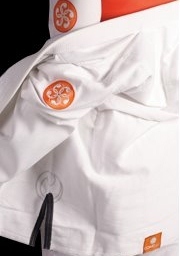 I have gotten many compliments from my training partners regarding the look of the gi along with how great it fits. Conclusion: If you need a great fitting, light competition gi or a gi that you can hang dry and wear every day, this will be a great addition to your collection. I can’t wait to patch it up with my school flag and add to my collection.